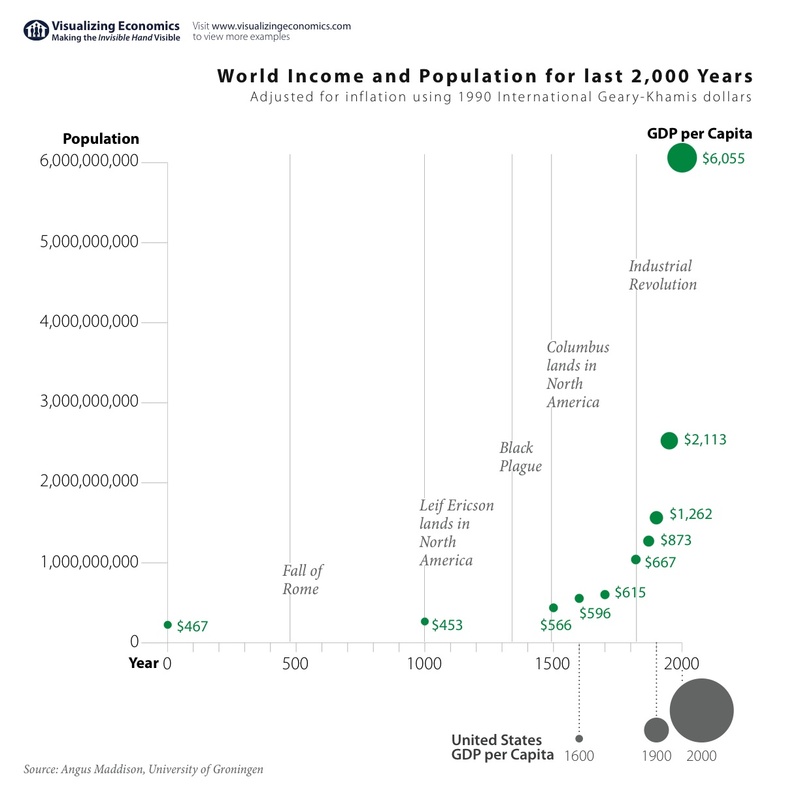 After posting a graph of world population and GDP per capita for the last 2 thousand years, I went back and simplified the design based on the feedback I received. The previous version used color to show a change in GDP per capita and included grid lines which I removed. Also in the new graph, I added the United States GDP per Capita for select years as a comparison. Data estimates for population and GDP per capita are from Angus Maddison Emeritus Professor, Faculty of Economics, University of Groningen. 1990 international Geary-Khamis dollars are purchasing power parities (PPPs) used to evaluate output which are calculated based on international prices. See United Nations Statistics Division for more information their computation.